ARIES – Some unavoidable circumstances can give you some uneasiness. But you must try to keep your poise and should not react immediately to tackle the situation. Improvement in finances will make it convenient for you to pay your long-standing dues and bills. Friends and relatives will do favors and you will be quite happy in their company. Forgive bitter trifles in your love life. Good day for retailers and wholesalers. Seminars and exhibitions will provide you with new knowledge and contacts. You and your spouse will create the best memory of your married life today. 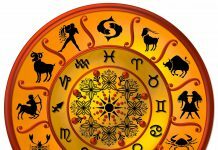 TAURUS – Today you will have ample of the time to do things to improve your health and looks Do not overspend on household luxuries. Land dispute would lead to fight. Take the help of your parents to sort out the matter. Act according to their guidance and you would definitely be able to solve the problem. Personal guidance will improve your relationship. Put your efforts in the right direction and you will be rewarded with extraordinary gains. Choose your words with care when interacting with important people. You might get an amazing surprise for your marital pleasures. GEMINI – Get involved in activities that are exciting and keep you relaxed. You will obtain benefits from commissions- dividends- or royalties. Children may bring in some overwhelming news A good communication or a message from your beloved or spouse will enhance your morale today. An important project-which you have been working on for a long time-is delayed. Resist associating with people that will harm your reputation. Your life-partner had never been so wonderful than today. CANCER – Blessings of a saintly person will give peace of mind. Use your innovative idea to make some extra money. A long-awaited message from a distant relative will convey good news for the entire family and especially for you. Chances to form a new love connection will be strong but don’t reveal information that is personal and confidential. Adapting to new technology will be important to keep pace with the changing times. Secret enemies will be eager to spread rumors about you. The love of your life, your spouse might give you a wonderful surprise today. LEO – Energy wanes even as success seems closer at hand. There will be a rise in your expenses that will bother your mind. Pending household jobs will take up some of your time. You need to be in your best behavior- because it won’t take much to upset your lover today. You will benefit today if you listen to people with experience and try to apply new ideas in your work. Outstation travel will not be comfortable-but will help build important contacts. Your spouse might feel unimportant today due to your hectic schedule, and he/she might show the displeasure in the evening. VIRGO – Take complete rest to regain your energy. Avoid overspending and dubious financial schemes. Relationship with your spouse might get strained because of unwanted interference of outsiders. You will catch the eye of a special someone-if you move about within your group. You are likely to gain- if you present your ideas well and show your determination and enthusiasm at work. Travel undertaken for business purpose will prove to be beneficial in the long run. After a difficult phase in married life, you will see the sunshine today. 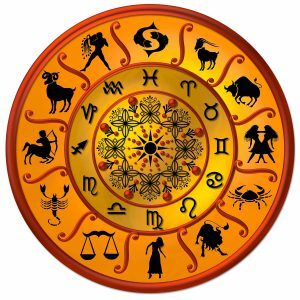 LIBRA – Hasty decision could cause some problem. Think calmly/coolly before taking any decision. Financial problems ruin your ability to think constructively. Do not force your opinion on others-To avoid conflicts you should listen to what others have to say. You will know today that the love of your partner is truly soulful for you. You might not get enough time to calm down from the pressure of work today. Unexpected travel for some proves hectic and stressful. Marriage is a blessing, and today you are going to experience it. SCORPIO – Your personality will act like a perfume today. Money gains will not be to your expectations. Your compassion and understanding will be rewarded. But be careful as any hasty judgment may put them under pressure. Romantic moves will not pay. Good day for recreation and entertainment but if you are working then you need to look carefully at your business dealings. Communication will be your strong point today. You might fight today on an old issue with your spouse like he/she forgot your birthday, or something like that. But, everything will be alright at the end of the day. SAGITTARIUS – Your sense of humor would help someone to encourage himself to develop this skill as you make him understand that happiness does not lie in possession of thing but is inside of us. Today you should focus on issues related to land, real estate, or cultural projects. Parental help in your decision would help you immensely. Don’t waste your time in finding fault in your beloved. Your working environment might change for good today. A spiritual leader or an elder provides guidance. When you live with someone, fights are inevitable. You might get into an argument with your spouse. CAPRICORN – Outdoor activities will be tiring and stressful today. Invest wisely. Arguments at home will lead to unpleasantness with family members. Your careless attention to your sweetheart might bring in the tensed moments at home. Associate today with experienced people and learn from what they have to say. Outstation travel will not be comfortable-but will help build important contacts. The behavior of your spouse might disturb your professional relations today. AQUARIUS – Your continuous positive thinking will be rewarded. As you are likely to succeed in your Endeavour. Financial gains-which were expected today-get delayed. Shirking household duties and squabbling over money may damage your marital bliss today. Look forward to new relationship for happiness Good day for retailers and wholesalers. If you run from a situation- it will follow you in the worst possible way. An old friend of yours might come along with the old beautiful memories you have with your life partner. PISCES – Desert your stubborn attitude for the sake of your happy life as it is sheer waste of time. Investment in antiques and jewelry will bring gains and prosperity. This period is also good for taking your parents into confidence regarding your new projects and plans. Love is synonymous to worshipping God; it is very spiritual as well as religious. You will know this today. People will recognize you at work for your endeavors. Take care of your action and words as authority figure will be less understanding if you do something deceitful. Life has been really tough with you in recent days, but today you will find yourself in the paradise of your spouse.